Theo Murphy international scientific meeting organised by Professor David Manolopoulos FRS, Professor Stuart Mackenzie and Professor Claire Vallance. Chemical dynamics is undergoing a transformation in which experimental and theoretical techniques developed for the study of elementary gas phase processes are increasingly being adapted and applied to the dynamics of more complex systems. This meeting brought together leading experimentalists and theoreticians from around the world to discuss this transformation and explore the wealth of exciting new directions it is opening up for us. The schedule of talks and speaker biographies and talk abstracts are available below. Recorded audio of the presentations will be available on this page after the meeting has taken place. Following a BA in Natural Sciences at Cambridge, David Manolopoulos stayed on there to do a PhD in theoretical chemistry under the supervision of David Clary. He then moved to the University of Texas at Austin as a postdoctoral researcher in the group of Bob Wyatt, before securing his first academic position as a lecturer in physical chemistry at the University of Nottingham. He moved to Oxford to become a lecturer in physical and theoretical chemistry and a Tutorial Fellow of St Edmund Hall in 1995, and he is currently a Professor of Theoretical Chemistry at Oxford. His research in theoretical chemical dynamics has been recognised by several awards, including the Marlow Medal, the Corday Morgan Prize, and the Chemical Dynamics Award of the Royal Society of Chemistry. He was elected a Fellow of the Royal Society in 2011 and a Member of the International Academy of Quantum Molecular Science in 2013. Stuart Mackenzie is Head of Physical and Theoretical Chemistry at the University of Oxford. He also teaches physical chemistry at Magdalen College where Professor Sir David Clary is President. Research interests include gas-phase spectroscopy and photofragmentation dynamics of small decorated transition-metal clusters. Structures are explored by infrared spectroscopy using both laboratory and free electron laser sources with particular interest in systems where absorption of infrared radiation drives the reactivity of adsorbates on a cluster surface. Other interests include novel technique development for the study of spin-correlated radical pairs in proteins. Of particular interest are the photophysics of blue-light receptor proteins called cryptochromes which are believed to lie at the heart of animal magnetosensitivity. 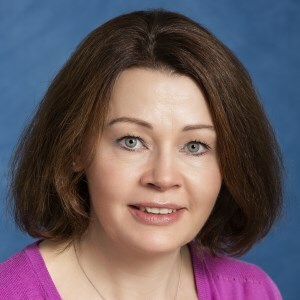 Claire Vallance is a Professor of Physical Chemistry in the Department of Chemistry at the University of Oxford, and Tutorial Fellow in Physical Chemistry at Hertford College, Oxford. She grew up in the UK and New Zealand, and holds a BSc(hons) and PhD from the University of Canterbury (Christchurch, NZ). Her current research interests include chemical reaction dynamics, particularly the development and implementation of high speed detectors for multi-mass velocity-map imaging; the use of optical microcavities in chemical sensing applications; and the development of spectroscopic and imaging techniques for cardiovascular and neurosurgical applications. In addition to a range of teaching and outreach activities, she is a member of the editorial advisory boards of the Journal of Physical Chemistry and Annual Reviews of Physical Chemistry and the international organising committees for the MOLEC and iCOMET conferences, and is currently President Elect of the Faraday Division of the Royal Society of Chemistry. Sir David Clary is President of Magdalen College, Oxford and is Professor of Chemistry at the University of Oxford where he directs a research group working on the quantum theory of chemical reactions. He has held previous academic posts at Manchester, Cambridge and University College London. He has been President of the Faraday Division of the Royal Society of Chemistry and was the first Chief Scientific Adviser to the UK Foreign and Commonwealth Office. He is a Fellow of the Royal Society and was knighted in 2016 by the Queen for his services to international science. A recently described symmetrical quasi-classical (SQC) windowing methodology for classical trajectory simulations has been applied to the Meyer-Miller (MM) model for the electronic degrees of freedom in electronically non-adiabatic dynamics. The approach treats nuclear and electronic degrees of freedom (DOF) equivalently (i.e., by classical mechanics, thereby retaining the simplicity of standard molecular dynamics), providing “quantization” of the electronic states through the symmetrical quasi-classical (SQC) windowing model. The approach is seen to be capable of treating extreme regimes of strong and weak coupling between the electronic states, as well as accurately describing coherence effects in the electronic DOF (including the de-coherence of such effects caused by coupling to the nuclear DOF). It is able to provide the full electronic density matrix from the one ensemble of trajectories, and the SQC windowing methodology correctly describes detailed balance (unlike the traditional Ehrenfest approach). Calculations can be (equivalently) carried out in the adiabatic or a diabatic representation of the electronic states, and most recently it has been shown that a modification of the canonical equations of motion in the adiabatic representation eliminates (without approximation) the need for second-derivative coupling terms. William H Miller was born in Kosciusko, Mississippi, in 1941, and grew up in Jackson. He received a BS in Chemistry from Georgia Tech (1963) and a PhD in Chemical Physics from Harvard (1967). During 1967-1969 he was a Junior Fellow in Harvard’s Society of Fellows, the first year of which was spent as a NATO postdoctoral fellow at the University of Freiburg, Germany. He joined the chemistry department of the University of California, Berkeley, as Assistant Professor in 1969 and has been Professor since 1974, serving as Department Chairman from 1989 to 1993 and becoming the Kenneth S Pitzer Distinguished Professor in 1999. Professor Miller has been elected to membership in the International Academy of Quantum Molecular Sciences (1985), the US National Academy of Sciences (1987), the American Academy of Arts and Sciences (1993), the Leopoldina (German National Academy of Sciences) (2011), and Foreign Member of the Royal Society (London) (2015). Instanton theory results from a rigorous semiclassical derivation for the rate of a chemical reaction. However, due to a number of harmonic approximations, it is not applicable to study reactions in liquids, where many transition-states exist close to each other such that they cannot be treated independently. Ring-polymer molecular dynamics avoids this problem by effectively sampling the instantons without making the harmonic approximation. A similar instanton theory can also be derived for the rate of the fundamental process of electron transfer, in which the electron dynamics are coupled strongly to the nuclear degrees of freedom such that the Born-Oppenheimer approximation cannot be made. Again, however, this instanton theory cannot be applied to atomlistic models of liquids and a new ring-polymer sampling scheme is be required. It will be shown that starting from a physically motivated ansatz, it is possible to derive new ring-polymer sampling schemes which dominately sample the instanton configurations and thus give excellent approximations to the rate of electron transfer. Jeremy Richardson was born in Cardiff and studied at Cambridge University where he also took his PhD under the supervision of Stuart Althorpe. 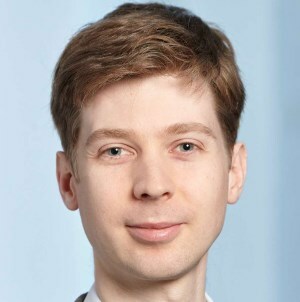 He was a postdoc and Humboldt Research Fellow in Friedrich-Alexander University Erlangen-Nürnberg in the group of Michael Thoss and a Junior Research Fellow at Durham University. In September 2016 he moved to ETH Zürich as the Assistant Professor of Theoretical Molecular Quantum Dynamics in the Laboratory of Physical Chemistry. In water and ice, the nuclear motion takes place on a single Born-Oppenheimer surface, under conditions of thermal equilibrium. The nuclei exhibit quantum properties, which a growing body of evidence suggests are caused almost entirely by the quantum Boltzmann statistics, with the dynamics of the nuclei being classical. Here we summarise a recently developed theory which explains how such a classical dynamics can arise as a result of certain properties of the quantum statistics. This dynamics involves the motion of smooth delocalised loops of the hydrogen atoms which, despite being classical, conserve the quantum Boltzmann distribution. Exact implementation of this dynamics is not possible because of a phase problem, but its approximate implementation can be done using a ‘planetary’ model (originally developed heuristically by others), in which each hydrogen nucleus is represented by two particles, one (the ‘centroid’) describing its position, the other (the ‘planet’) describing the extent of delocalisation. We report recent simulations of the infrared spectrum of liquid water and ice, obtained using the planetary model. Despite the approximations made, the model is capable of reproducing the line shapes of the bend and stretch peaks, which are found to be motionally narrowed by the dynamics of the centroid. 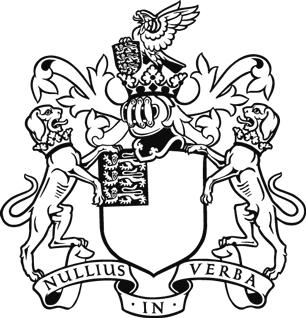 Stuart Althorpe obtained his PhD in Theoretical Chemistry from the University of Cambridge in 1994. After postdoctoral research in the US, Europe and Canada, he was awarded a Royal Society University Research Fellowship in 1999, which he held at Durham, Exeter and Nottingham. He returned to Cambridge in 2005, where he is now Professor of Theoretical Chemistry and Fellow of St Catharine's College. His research involves the development of new theory and methodology to better understand quantum effects in chemical dynamics. His current work focuses on the application of Feynman path-integral techniques to the dynamics of liquid water and chemical reactions. Simulating energy transfer pathways in reactions at metal surfaces requires methods that describe electronically nonadiabatic processes, capture quantum coherence effects, and remain computationally feasible for high dimensional systems. Quantum-limit semiclassical methods meet almost all these criteria, but the computational costs scale poorly with system size limiting their applications. The recently derived Mixed Quantum-Classical Initial Value Representation (MQCIVR) provides a uniform semiclassical framework for the calculation of real-time correlation functions where a subset of system modes are treated in the quantum limit while the rest are treated in the classical limit. This is achieved by selectively filtering amplitude of the semiclassical integrand in regions of highly oscillatory phase, leading to improved numerical convergence without significant loss of accuracy. This method is applied to several model systems and its ability to systematically tune individual system modes between quantum-limit and classical-limit semiclassical behaviour clearly demonstrated. MQC-IVR is further extended to electronically nonadiabatic processes for the study of inelastic scattering at a metal surface. 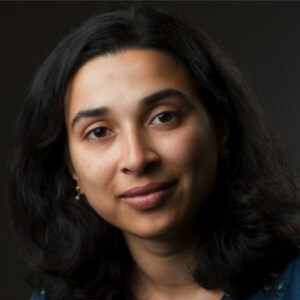 Nandini Ananth received a PhD in Chemistry from the University of California, Berkeley, in 2008. Her thesis work was completed under the guidance of Professor William H Miller and focused on developing semiclassical methods for the simulation of quantum dynamic processes in complex chemical systems. Upon graduation, she accepted a position as postdoctoral scholar working with Professor Thomas F Miller III at the California Institute of Technology on developing path-integral methods for the simulation of electronically nonadiabatic processes in the condensed phase. She joined the faculty of the department of Chemistry and Chemical Biology at Cornell University in 2012, and during her time here has received various award including a Cottrell Scholar Award and Sloan Research Foundation Fellowship. Mike Ashfold obtained a BSc and PhD from the University of Birmingham prior to postdoctoral research at Oxford University, appointment to a Lectureship at the University of Bristol (1981) and promotion to Professor of Physical Chemistry (1992). His research interests include molecular photodissociation processes in the gas and condensed phases, and the diagnosis and modelling of microwave plasma enhanced chemical vapour deposition of diamond films. 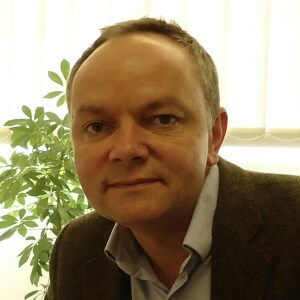 His research has been recognised by a number of awards including the Marlow, Corday-Morgan, Tilden and Liversidge Medals and Prizes of the Royal Society of Chemistry (RSC), an EPSRC Senior Research Fellowship (1997-2002), a Daiwa-Adrian Prize (2004, with Prof Kawasaki (Kyoto)) and the Herbert P Broida award of the American Physical Society (2014). He was elected to the Fellowship of the Royal Society in 2009, was President of the Faraday Division of the RSC (2009-2012) and is currently a member of RSC Council. The behaviour of ions at aqueous interfaces has been a subject of much controversy for over a century. By exploiting the strong charge-transfer-to-solvent (CTTS) resonances of selected anions in aqueous electrolytes, their adsorption properties have measured by deep UV-SHG spectroscopy methods for both air/water and graphene/water interfaces. Temperature and concentration dependences determined by both experiment and computer simulations for the air/water case reveal that the strong interfacial adsorption observed for weakly hydrated ions is enthalpically driven by hydration forces and impeded by a novel entropy effect (capillary wave suppression). Extension of this approach to the water-graphene interface reveals a surprising similarity to the air-water case, albeit with different mechanistic details. The recent development of a broadband deep UV SFG spectroscopy technique has produced detailed CTTS spectra of interfacial ions, for which comparisons with bulk CTTS spectra provide additional new insights. Richard Saykally is the Class of 1932 Endowed Professor at the University of California, Berkeley. Born in Rhinelander, Wisconsin and educated at UW-Eau Claire and UW-Madison, Saykally has been a professor at the University of California, Berkeley since 1979. He and his students have pioneered many important advances in spectroscopy, including velocity modulation spectroscopy of ions, terahertz laser vibration-rotation-tunneling spectroscopy of clusters, infrared photon counting spectroscopy, cavity ringdown spectroscopy, and X-ray spectroscopy of liquid microjets. These have permitted the first detailed study of important textbook molecules, including the hydronium (H3O+), hydroxide (OH-) and ammonium (NH4+) ions, as well as small water clusters and carbon clusters. Recent work includes the spectroscopic determination of a universal water force field via the study of water clusters, the development of femtosecond nonlinear optical molecular imaging methods applied to single nanowire lasers and biological systems, femtosecond UV SHG/SFG studies of liquid electrolyte surfaces, and soft X-ray spectroscopy of liquids and liquid surfaces. Much of our detailed understanding of the intrinsic electronic relaxation dynamics of photoexcited molecules has come from gas-phase experiments and calculations involving isolated molecules, free from interactions with solvent or protein environments. However, electronically excited states are sensitive to their microenvironment, particularly in polar solvents such as water, the most important medium in chemistry and biology, and in proteins. Photoelectron spectroscopy is the ideal tool for probing the electronic structure of molecules through the measurement of electron binding energies. This presentation will describe recent work from our group employing photoelectron spectroscopy in molecular and anion beams and in a liquid-microjet to compare the electronic structure and relaxation dynamics of biologically relevant chromophores following photoexcitation in the gas-phase and in aqueous solution. Helen Fielding graduated with a DPhil in Physical Chemistry from the University of Oxford in 1992. She then carried out postdoctoral research in the Department of Physics at the University of Amsterdam before becoming a Lecturer in Physical Chemistry at King’s College London in 1994. 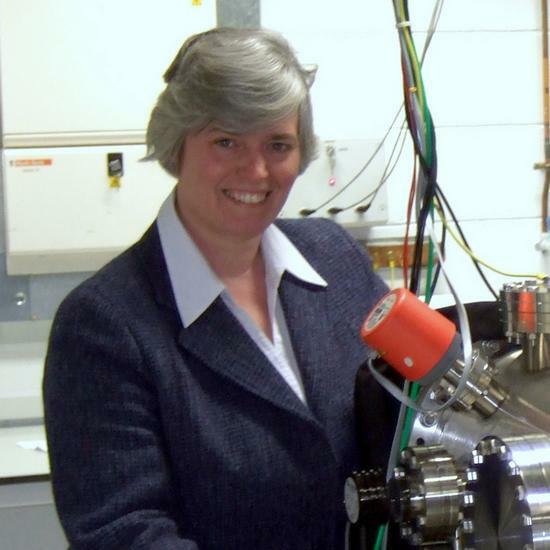 She moved as a Professor to University College London in 2003, where she is currently Head of Physical Chemistry. Her research is focussed on understanding and controlling the fate of electronically excited states of molecules formed following the absorption of ultraviolet light. She is interested in systems ranging in complexity from small organic molecules to photoactive protein chromophores and molecular motors in the gas-phase and in aqueous solution. The study of reactions in solution represents a new frontier in the field of chemical reaction dynamics. Interactions with the surrounding solvent modify the energy landscape controlling the atomic motions during the chemical reaction, and influence the flow of energy released as reactants transform to products. The timescale for reaction is comparable to that required for solvent reorganisation to accommodate transition states or reaction products, and the microscopic structure of the solvent must therefore be considered when developing an understanding of a reaction mechanism in solution. 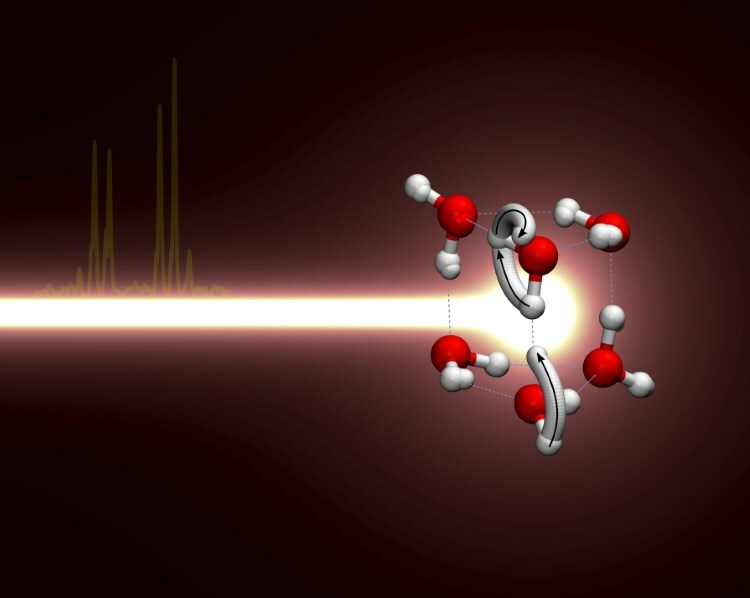 Ultrafast transient absorption spectroscopy of photochemical and reaction dynamics makes possible detailed studies of both the reaction dynamics in solution and the solvent response. Examples will be presented of the mechanisms of reactions in both weakly and strongly interacting solvents, and comparisons will be drawn with the corresponding dynamics in the gas phase to highlight the consequences of the surrounding liquid environment. 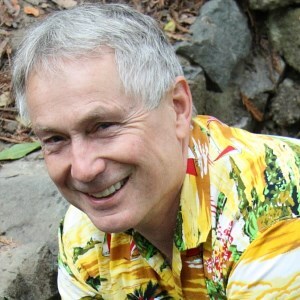 Andrew Orr-Ewing is Professor of Physical Chemistry at the University of Bristol. He graduated from the University of Oxford in 1988, and remained there to study for his DPhil under the supervision of Prof Gus Hancock. He subsequently spent 2 years as a postdoctoral researcher with Prof Richard N. Zare at Stanford University, then moved to the University of Bristol as the Royal Society Eliz. Challenor Research Fellow in 1994. 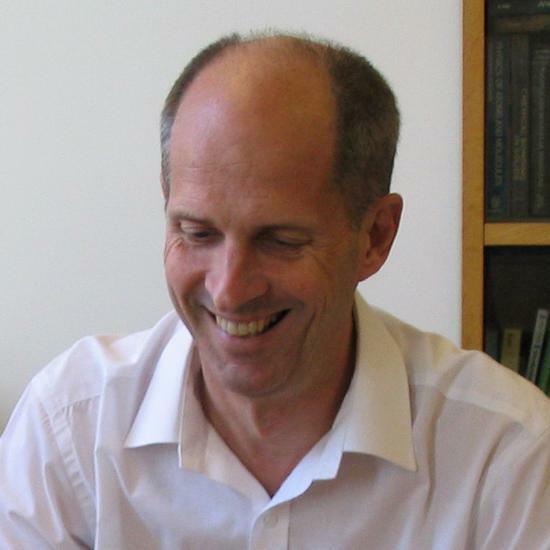 He is a past recipient of the RSC Awards in Optical Spectroscopy (2002) and Chemical Dynamics (2014), and the RSC Marlow Medal (1999) and Tilden Prize (2009), and held a Royal Society Wolfson Research Merit Award (2006-2011). He was elected a Fellow of the Royal Society in 2017. Chemists have been amazingly successful with the manipulation of complicated molecular systems, whereas to a physicist, even simple molecules can seem overwhelmingly complex. Physical chemists are blessed (or cursed) with a dual scientific personality. We are attracted to real world chemical systems and yet are often not satisfied posing questions without the requisite rigour to hope for fundamental answers. This talk will provide an overview of work in Professor Nesbitt’s labs that attempts to address complex molecular systems but with a physical chemist’s eye toward finding the underlying simplicity. In particular, Professor Nesbitt will focus on recent results from his labs in the following two areas: 1) electron oscillation in Au, Ag, and Cu nanostructures (i.e., “plasmons”) leads to intense absorption strengths and offers enormous potential for real-world applications in solar energy. He will address how the novel combination of ultrafast OPO lasers, in-vacuo microscopy, and velocity map imaging of the electron photoemission can provide a novel, powerful and remarkably sensitive experimental platform for exploring the fundamental chemical physics and spectroscopy of nanoplasmonic materials. 2) The second topic will be the use of confocal microscopy, fluorescence resonance energy transfer (FRET), and time correlated single photon counting methods to explore the kinetics and thermodynamics of RNA folding at the single molecule level. One issue in particular will be probing the effects of microscopic viscosity and molecular “crowding” on tertiary and secondary structure motifs responsible for “docking” single stranded RNA oligomers into biochemically competent 3D structures. In each area, the focus will be on simple physical pictures that help explain and interpret the underlying chemical physics. Nesbitt did his undergraduate studies in Physics and Chemistry at Harvard University, during which he spent a year working with Professor J Peter Toennies at the Max Planck Institute for Strömungsforschung in Göttingen, Germany. He then taught secondary school science and math for two years at Colorado Academy in Denver, prior to entering a PhD program in Chemical Physics at the University of Colorado at Boulder, with co-advisors Professors Stephen R Leone and James T Hynes. His thesis work was divided between experimental laser initiated photochemical chain reaction kinetics and theory of liquid phase reaction dynamics, for which he received the Nobel Laureate Signature Award from the American Chemical Society. Nesbitt worked for one year as a National Research Council postdoc with Professor John L Hall on ultrahigh resolution infrared spectroscopy, was awarded a Miller Fellowship for Basic Research at the University of California, Berkeley, where he teamed with Professors C Bradley Moore and Richard Saykally on high sensitivity tunable IR detection of ions and radicals. 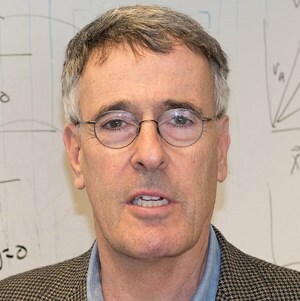 Nesbitt is presently a Full Professor Adjoint in the Departments of Chemistry and Biochemistry and Physics at the University of Colorado and a Fellow of JILA in the Quantum Physics Division, National Institute of Standards and Technology. He has published over 290 papers, with current research interests addressing topics in: i) spectroscopy of transient combustion radicals and molecular ions in slit supersonic jet expansions; ii) quantum state-resolved inelastic/reactive scattering at gas-liquid and gas-solid interfaces; iii) ultrafast scanning photoelectron imaging microscopy of plasmonic nanostructures and quantum dots; and iv) temperature dependent kinetics/thermodynamics of RNA and RNA-protein folding dynamics by single molecule fluorescence microscopy. Jeremy Hutson is Professor of Chemistry and Physics at the University of Durham. He completed his DPhil with Brian Howard at Oxford in 1981 and then spent 2 years as SRC Postdoctoral Fellow with Robert Le Roy at Waterloo, Ontario. He returned to the UK as Drapers’ Company and later Stokes Research Fellow at Pembroke College, Cambridge, then moved to Durham in 1987. In the years up to 2000 he worked mainly on the theory of Van der Waals complexes. He developed methods to calculate the spectra of molecular dimers and trimers from their intermolecular potentials, and inverted experimental spectra to determine the potential energy surfaces to unprecedented accuracy. 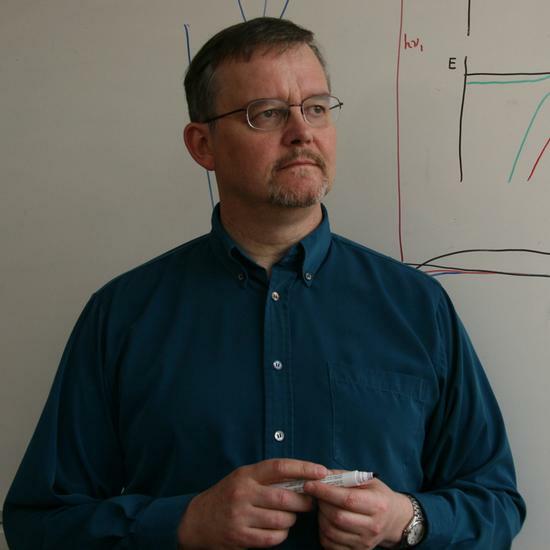 In 2001, after a period of being Head of the Chemistry Department at Durham, he moved fields to the formation and properties of ultracold molecules and their development as a platform for quantum science. He has developed theoretical methods for ultracold collisions in applied electric and magnetic fields, and applied them to molecule formation by magnetoassociation and the theory of molecular sympathetic cooling. His theoretical work has underpinned the discovery of the universality of Efimov 3-body states and the recent production of ultracold RbCs molecules in their absolute ground state. CO2 reduction to syngas and N2 reduction to ammonia are processes of fundamental interest to energy science. In this talk, theory is used to provide new directions to this research in two areas. The first part of the talk discusses plasma enhanced dry reforming, and photocatalytic conversion of N2 to ammonia. Dry reforming is a process wherein CH4 and CO2 react to give syngas and/or liquid fuels. Dry reforming is normally done under high temperature and pressure conditions, with a Ni catalyst, however it has recently been discovered that if a plasma is also present near the catalyst, then it is possible to get this reaction to go under modest conditions close to room temperature and atmospheric pressure. The role of the plasma in this process is poorly understood. The talk focuses on the use of electronic structure studies and Born-Oppenheimer molecular dynamics to describe gas-surface reactions that arise from plasma species. The plasma is known to fragment the reacting gases, especially CH4 into CH3 + H and CH2 + 2H, so a highlight of this work concerns reaction of atomic hydrogen and CH2 with adsorbed CO2 and CO to give CO, water, formaldehyde, methanol and other products. The results include comparisons with experiments from the Koel group at Princeton, and with other groups, and it is found that hot-atom and Eley-Rideal mechanisms play an important role. The second part of this talk considers the reaction mechanism underlying recent work from the Kanatzides group at Northwestern in which it was discovered that iron-sulphur clusters present in gel materials can participate in the photocatalytic conversion of N2 to ammonia under ambient conditions. The theoretical studies use broken symmetry density functional theory to reveal a mechanism for this process that is related to what happens with the nitrogenase enzyme, but with important differences that arise from photon-induced delivery of electrons to the iron-sulphur clusters. 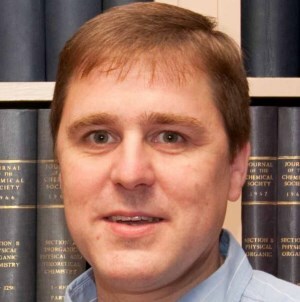 George C. Schatz is the Morrison Professor of Chemistry at Northwestern University. He received his undergraduate degree at Clarkson University and PhD at Caltech. He was a postdoc at MIT, and has been at Northwestern since 1976. 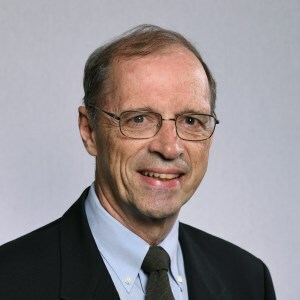 Schatz is a member of the National Academy of Sciences, the American Academy of Arts and Sciences, and he has been Editor-in-Chief of the Journal of Physical Chemistry since 2005. Schatz is a theoretician specializing in electronic structure methods, dynamical processes, electrodynamics, and statistical mechanics, who studies the optical, structural and thermal properties of nanomaterials, including plasmonic nanoparticles, catalysts, DNA and peptide self-assembled nanostructures, and carbon-based materials, with applications to chemical and biological sensing, electronic and biological materials, heterogeneous catalysis and solar energy. Heterogeneously catalyzed processes are of large importance: the production of the majority of chemicals involves catalysis at some stage. Heterogeneously catalyzed processes consist of several elementary reactions. Accurately calculating their rates requires the availability of accurate barriers for the rate controlling steps. Unfortunately, currently no first principles methods can be relied upon to deliver the required accuracy. To solve this problem, in 2009 a novel implementation of the specific reaction parameter approach to density functional theory (SRP-DFT) was formulated. This allowed reproducing experiments for H2 reacting on copper surfaces, and to determine barrier heights for H2-Cu systems, with chemical accuracy. The original procedure used was not extendable to reactions of molecules heavier than H2 with surfaces, because the metal surface was treated as static. This problem has now been solved through a combination of SRP-DFT with Ab Initio Molecular Dynamics (AIMD). This method was applied to the dissociative chemisorption of methane on a Ni surface, a rate-limiting step in the steam reforming reaction. Experiments on CHD3 + Ni(111) were reproduced with chemical accuracy, and a value of the reaction barrier height was derived that is claimed to be chemically accurate. Even better results were obtained for CHD3 + Pt(111), suggesting that the SRP density functional for methane interacting with Ni(111) is transferable to methane interacting with other group X metal surfaces. Even more interestingly for applications to catalysis, the SRP functional derived for methane reacting with Ni(111) also gives a very accurate description of molecular beam sticking experiments on CHD3 + Pt(211). 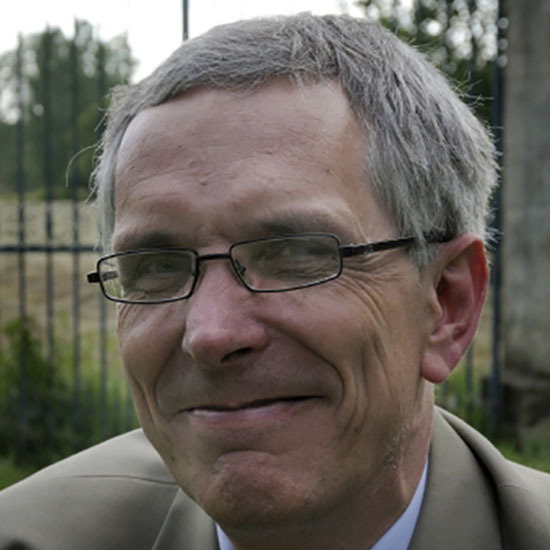 Geert-Jan Kroes obtained his PhD in Chemistry in 1990 at the University of Amsterdam (The Netherlands), working under the supervision of Professor RPH Rettschnick. 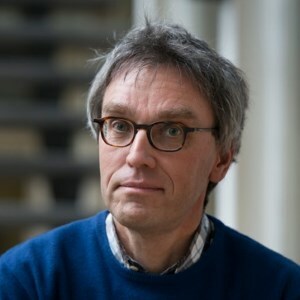 He worked as a post-doc with David Clary from 1990 to 1992 (Cambridge, UK), and with Marc van Hemert and Ewine van Dishoeck from 1992 to 1993 (Leiden, The Netherlands). He worked as a KNAW-fellow at the Free University of Amsterdam and at Leiden University from 1993-1998. 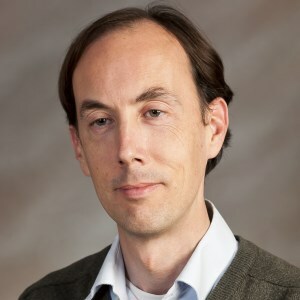 At Leiden he became Assistant Professor in 1998, and Full Professor in 2003. His present research is focused on reactive scattering of molecules from metal surfaces. The Cl+CH4→HCl+CH3 reaction has been the subject of extensive experimental and theoretical investigations due to its crucial role in the Cl/O3 destruction chain mechanism in the stratosphere, and has also become a prototype for studying mode specificity and bond selectivity in polyatomic reactions with a late barrier. Earlier quantum dynamics studies on a high-quality potential energy surface (PES) constructed by Czako and Bowman (CB) revealed that there is a distinctive peak in the total reaction probabilities for the total angular momentum J=0 at collision energy of about 3 kcal/mol, which was inferred to be related to a dynamics resonance in the reaction. In this talk, Professor Zhang will present a quantum dynamics study of the reaction on a new PES by using the reduced dimensionality model of Palma and Clary by restricting the non-reacting CH3 group in a C3V symmetry. The calculated total reaction probabilities for the total angular momentum J=0 on the new PES, which is of a quantitative level of accuracy, exhibit a clear peak structure as on the CB PES. Detailed dynamics analysis uncovered that the peak structure does not originate from a dynamics resonance, it is a very reaction probability oscillation associated with the heavy-light-heavy (HLH) nature of the reaction. State-to-state quantum dynamics calculations revealed that the HLH oscillation in the reaction has important influence to product rotation distributions, and also leave a clear peak in the backward scattering direction which can be detected by a cross-molecular beam experiment. 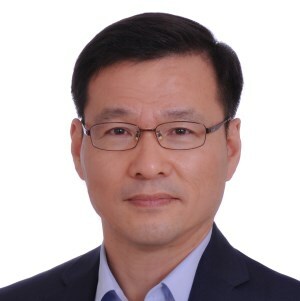 Dong Hui Zhang received his BS degree in physics from Fudan University, China, in 1989. He earned a PhD in chemical physics from New York University in 1994. After working as a postdoctoral research fellow in New York University and the University of Chicago, he joined the National University of Singapore in 1997. He moved to Dalian Institute of Chemical Physics, CAS, in 2006, and was elected to the Chinese Academy of Sciences in 2017. Now he is the director of the state key laboratory of molecular reaction dynamics in the institute. His primary research area is in theoretical and computational studies of chemical reactions in the gas phase and on surfaces. In the textbook experiment of Young, quantum interference between two distinct trajectories leads to oscillations in the observed scattering of an atomic beam through two slits. Similar interferences patterns can be observed as oscillations in the intensities of scattering of a molecular beam from a given initial rotational state into various final states. This quantum interference structure becomes especially rich when the initial and final states are coupled by two electronic potential energy surfaces. This field will be reviewed with particular attention to work done in collaboration with Professor Clary. Professor Millard Alexander obtained a BA from Harvard College in 1964, a D. ès Sciences from the University of Paris in 1967 and was a postdoctoral fellow at Harvard University between 1967 and 1970. Professor Alexander is currently a Distinguished University Professor in the Department of Chemistry and Biochemistry and Institute for Physical Science and Technology, University of Maryland, USA. His research interests are molecular collision and reaction dynamics, non-adiabatic coupling in chemical dynamics, simulation of molecular collisions in planetary and interstellar environments, photodissociation of atmospheric molecules. Professor Alexander’s work has provided a framework for the understanding of non-adiabatic effects in molecular collisions, in weakly bound complexes and in molecular photodissociation. By combining state-of-the art techniques in ab initio quantum chemistry and new methods in quantum collision theory, he has pushed forward the frontier in the understanding of how electronic and nuclear motion are coupled in elementary inelastic and reactive collisions. 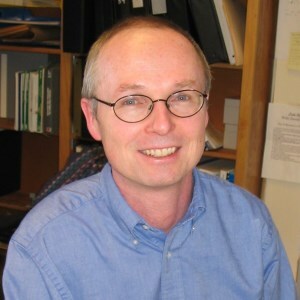 Professor Alexander’s awards and honors include: Fellow American Physical Society; John Simon Guggenheim Memorial Fellow; Dr Lee’s Fellow, Oxford; Kirwan Research Prize, University of Maryland; Hillebrand Award, Washington Section, American Chemical Society; past President, Telluride Science Research Center; Fellow, American Association for the Advancement of Science. Eleanor Campbell obtained a BSc and PhD from the University of Edinburgh. Following postdoctoral stays at the Free University Berlin and Freiburg University she became a Department Head at the Max Born Institute in Berlin. She was appointed to the Chair of Atomic and Molecular Physics at Gothenburg University in Sweden in 1997 and then moved back to Chemistry at the University of Edinburgh in 2007. Eleanor is a Fellow of the Royal Society and the Royal Society of Edinburgh and a Foreign Member of the Royal Swedish Academy of Sciences. She is currently President of the RSC Faraday Division. 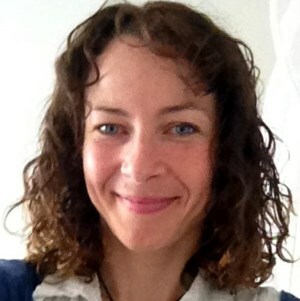 She has received a number of awards for her work in the field of fundamental gas phase studies of fullerenes and the growth characterization and nanoelectromechanical properties of nanocarbon materials, such as the Gerhard Hess Prize in Physics, the Göran Gustafsson Prize in Physics and the RSC Tilden Prize. Alkene ozonolysis is a primary oxidation pathway for alkenes emitted into the troposphere and also an important source of atmospheric hydroxyl radicals. Alkene ozonolysis takes place on a reaction path with multiple minima and barriers along the way to OH products. In particular, a key reaction intermediate, known as the Criegee intermediate, R1R2COO, had eluded detection until very recently. In this laboratory, the simplest Criegee intermediate CH2OO and methyl-, dimethyl-, ethyl-, and vinyl-substituted Criegee intermediates have been generated by an alternative synthetic route, detected by VUV photoionization, and characterized on a strong π*←π transition. Recent studies have focused on vibrational activation of Criegee intermediates in the vicinity of and at energies much below the barrier associated with hydrogen transfer that leads to OH radical products. Infrared action spectra of the Criegee intermediates are obtained, along with time-resolves rates for appearance of OH radical products following vibrational activation under collision-free conditions. Complementary theoretical calculations are carried out to predict the energy-dependent unimolecular decay rates of the Criegee intermediates. Quantum mechanical tunneling through the barrier is shown to make a significant contribution to the decay rates. The results are extended to thermally averaged unimolecular decay of stabilized Criegee intermediates under atmospheric conditions. 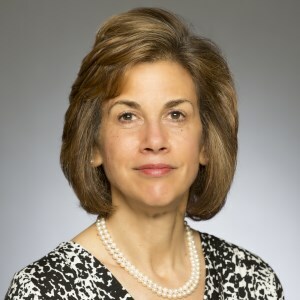 Marsha I Lester is the Edmund J Kahn Distinguished Professor in the Department of Chemistry of the University of Pennsylvania. She is the Editor of The Journal of Chemical Physics and Chair of the Penn Forum for Women Faculty. Previously, she served as Chair of the Department of Chemistry at Penn. Lester has received many honors and awards, including her election to Fellowship in the National Academy of Sciences and the American Academy of Arts & Sciences, the Garvan-Olin Medal of the American Chemical Society, the Bourke Lectureship of the Faraday Division of the Royal Society of Chemistry, a John Simon Guggenheim Memorial Foundation Fellowship, Fellow of the American Association for the Advancement of Science, the American Chemical Society, and the American Physical Society, an Alfred P Sloan Research Fellowship, and the Dreyfus Teacher-Scholar Award. 14:15-14:45 Chemical reactions and energy transfer in cold supersonic flows – a meeting ground for experiment and theory? David Clary’s pioneering adiabatic capture calculations on low temperature barrierless reactions provided a strong motivation for experiments in low temperature gas kinetics, which lead to the discovery of whole classes of neutral-neutral reactions that remain rapid or even become faster as the temperature is decreased down to 10 K or even below. An overview will be given of the importance of determining temperature dependent rate constants and product branching ratios for elementary chemical reactions and collisional energy exchange for understanding the creation and destruction of molecules in space. In particular attention will be focused on studies of the reactivity of carbon-containing radical species with organic co-reagents leading to efficient molecular growth even at the low temperatures of dense interstellar clouds (10—20 K) and circumstellar envelopes or of the atmospheres of planets and their moons, such as that of Titan (70—180 K). We employ both pulsed and continuous flow CRESU (Cinétique de Réaction en Ecoulement Supersonique Uniforme, or Reaction Kinetics in Uniform Supersonic Flow) apparatuses, combined with a variety of laser photochemical techniques, as well as, most recently, synchrotron photo-ionization mass spectrometry and chirped pulse mm-wave rotational spectroscopy. 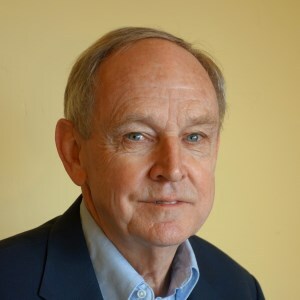 Ian Sims studied as an undergraduate at Cambridge, and followed Ian WM Smith to Birmingham for a PhD (1989) in gas-phase kinetics and dynamics, including low temperature measurements inspired by David Clary’s theoretical predictions. He spent two postdoctoral periods of two years each at Caltech (with Ahmed Zewail) and Rennes (with Bertrand Rowe and Ian WM Smith). 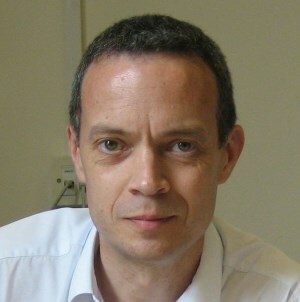 In Rennes he developed the application of the CRESU (Reaction Kinetics in Uniform Supersonic Flow) technique for the study of neutral-neutral reactions at very low temperatures. A 5-year Advanced Fellowship at the School of Chemistry of the University of Birmingham followed and he was appointed Lecturer (1998) and Senior Lecturer (2001). In 2003 he moved to a chair in physics at the University of Rennes 1, where he is now a Distinguished Professor. The domain of velocity-map imaging has expanded rapidly from highly detailed quantum-state resolved studies of small molecules to investigations into the photofragmentation dynamics of much larger molecules, including model systems of direct relevance to atmospheric chemistry, astrochemistry, photobiology, and organic photochemistry. Such studies present a number of challenges. The numerous fragmentation channels available to a polyatomic molecule generally make it unfeasible to attempt to record state-resolved images for each and every fragment. Instead, universal (or near-universal) ionization schemes are employed to ionize and therefore detect all products simultaneously. This allows the scattering distribution for each fragment to be recorded, though at the expense of quantum-state resolution. New imaging sensors capable of detecting individual particles with nanosecond time resolution allow images for all fragments to be acquired simultaneously within a single experiment, with covariance analysis of the data set revealing the correlated scattering distributions of pairs of photofragments. This talk will review recent technical advances in the arena of multi-mass imaging, as well as exploring examples of their application to a number of chemical systems. It is long known theoretically that geometric phase effect is important in chemical reactions with conical intersections. Even though there has a number of theoretical studies for this effect since 1970s, experimental observation of such effect proves to be extremely difficult and fruitless. Recently, we have constructed a new crossed beams imaging machine and observed the geometric phase effect in the H+HD→H2+D reaction at collision energy near the conical intersection of this reaction using high resolution threshold ion imaging technique. In addition, we have also observed experimental evidence of geometric phase effect at collision energy significantly lower than conical intersection energy using high resolution H-atom Rydberg tagging technique. These new experiments allows us to probe this important effect in chemical reaction at the most fundamental level. 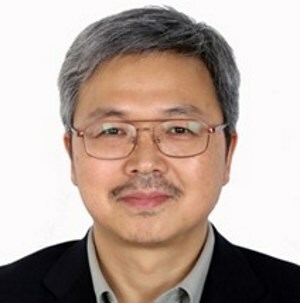 Xueming Yang obtained his PhD in chemistry at University of California at Santa Barbara in 1991. He did postdocs at Princeton and UC Berkeley from 1991 to 1995. He then became an associate research fellow at the Institute of Atomic and Molecular Sciences in Taipei and was promoted to be a tenured full research fellow in 2000. He moved to Dalian Institute of Chemical Physics, Chinese Academy of Sciences in 2003 and is now a distinguished research fellow. His main research focus is in the area of physical chemistry, especially dynamics and spectroscopy in the gas phase and at the interfaces. 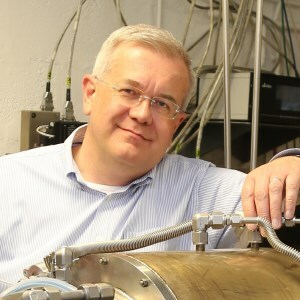 He has developed a new generation of molecular beam instruments for quantum state resolved reaction dynamics studies, especially quantum resonances in chemical reactions. In the recent years, he has developed new experimental tools to investigate surface photocatalysis that allows us to understand photocatalysis at the most fundamental level. He has published more than 300 research papers, including 11 in Science and one in Nature. Professor Yang has received many research awards such as the Humboldt Research Award, Tan Kah Kee Science Award and National Natural Science Award. He is a fellow of American Physical Society and Royal Society of Chemistry. He has also been a member of Chinese Academy of Sciences since 2011.